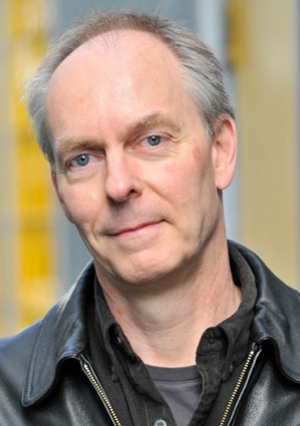 With his debut novel, Almost Criminal (Dundurn 2013), Eric Brown finds himself shortlisted alongside Stephen King for a prestigious Edgar Award in the Best Paperback Original category. Other nominees are Lisa Ballantyne for The Guilty One, Paul Cleve for Joe Victim, Alex Marwood for The Wicked Girls by Alex Marwood and Marcus Sakey for Brilliance. Stephen King's novel is Joyland. Former advertising copywriter and technical writer, stagehand, recording engineer and chandelier cleaner E. R. Brown (Eric) is a composer and performer who was born Montreal in 1955. He grew up in the Montreal area, then lived in Vancouver from 1977 to '81, returning to Vancouver to stay in 1989. From 1975 to 1989, he was active as a composer and performer of electroacoustic music, performing with numerous ensembles in Montreal and Vancouver and composing for choreographers and theatre companies including Santa Aloi, Cheryl Prophet, Terminal City Dance Theatre, Axis Mime, Theatre l'Eskabel. His work is included in the Radio Canada "Anthology of Canadian Music"; (Radio-Canada ACM 37). -- The Bands, three linked short stories, Prairie Fire magazine, Vol 6, No 3 (winter 2005-2006). In Brown's gritty, coming-of-age debut novel, Almost Criminal (Dundurn 2013), an overly-bright, seventeen-year-old high school drop-out named Tate MacLane takes refuge with a small-town B.C. marijuana dealer as his father figure. Tate MacLane is too smart for his own good, a sort of misguided prodigy. Prematurely graduated from high school, he was tossed out of university ("socialization issues";). Now 17, he's working at a coffee shop in Wallace, British Columbia, a "hopeless corner of nowhere"; and dreaming of finding a way to get back to Vancouver and back to school. Along comes Randle Kennedy, a marijuana grower. Until the drug is legalized, he's growing medical weed, and the Canadian cops tend to be lenient if they know you're in the medicinal side of the business. But make no mistake: Randle's a drug dealer. And young Tate is now working for him. When Tate discovers the truth about the life he's wandered into, he knows it will take more than his keen intellect to get him out safely. Tate is a fresh narrative voice, and Randle, who could have been a fairly stereotypical drug-dealing villain, has surprising depth; he's even a weird sort of father figure for young Tate. If you took a gritty crime novel and a coming-of-age story and squashed them together, you might get something very close to this excellent book.